The Penguins have arrived and we are excited to learn all about our them! We will do most of this project at school, but I'd like them to print some research and pictures of their penguin at home if possible. Everyone needs to bring in one piece of poster board or $0.50 and they can buy one in the office. This week we have been learning how to use our researched information without plagiarizing. We are writing about what it would be like to live in a snow-globe. I need everyone to bring in hats, gloves, and scarves next week for a fun project we will do to go along with our stories. Most of us are mastering counting change pretty well. If your child is still struggling with this you can help at home! Put a group of change in a baggie and practice counting different combinations with them. 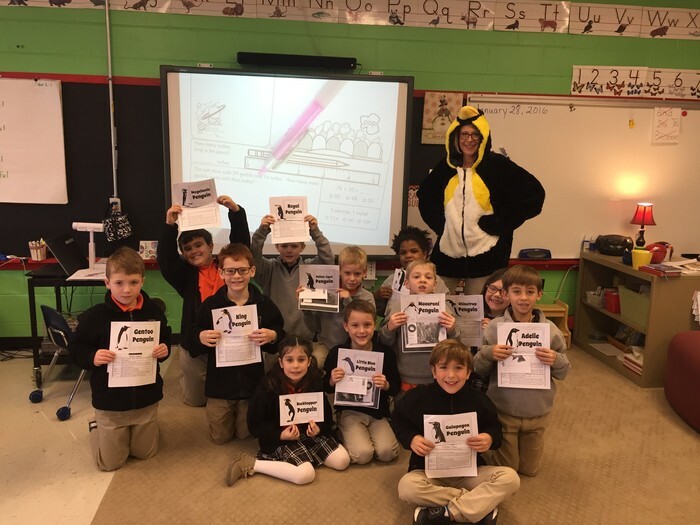 We had a visitor all the way from Antarctica come to deliver our penguin assignments! Playing the Bank Teller game. It sounded like we were on Wall Street! 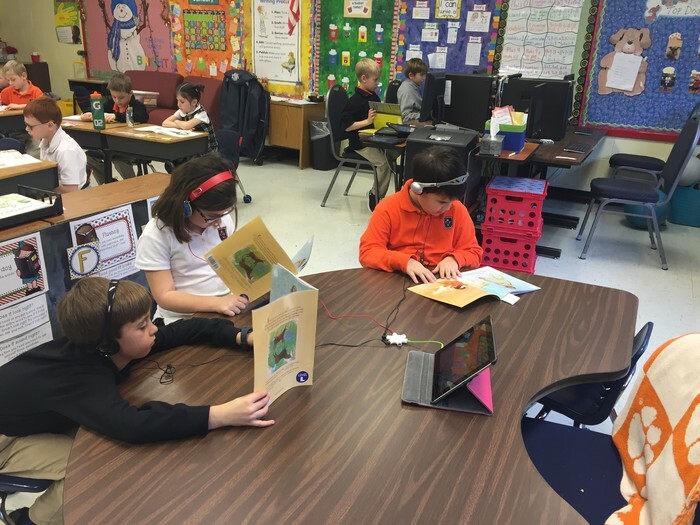 It's fun to listen to our books after we read them. Change for Liberia- Our change can make a change. Just 32 cents will provide a meal! 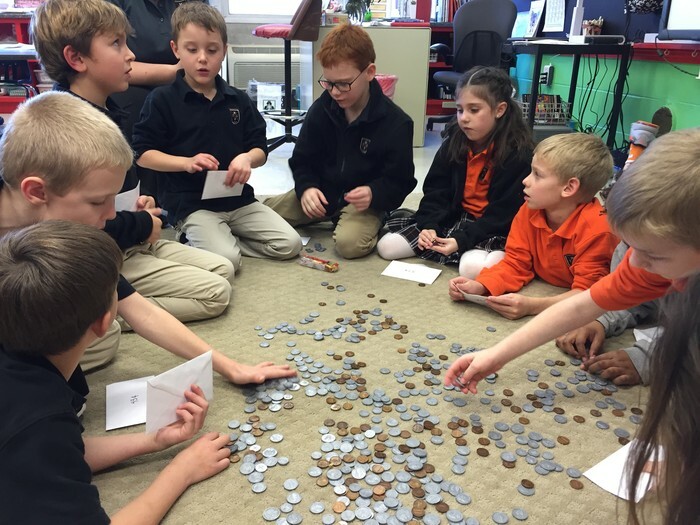 I am so proud of all the change (and bills) our class has already brought in and the collection continues. - From Mrs. Woodruff - The deadline for Yearbook personalization forms has been extended until Monday, February 1st. Progress Reports go home on February 3rd. Please remember the goal is to read at least 20 minutes most nights AND to practice their Math Facts. This practice at home makes such a difference in their success as a learner.